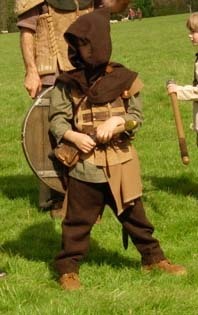 The Riddle of Steel medieval sword fighting club for children has been running on a weekly basis since 2007. 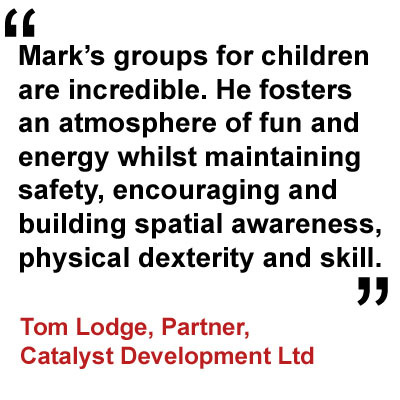 It was founded by Mark Gilbert a nationally recognised and respected sword fighter who has been coaching since 1990. The sessions are structured and are typically made up of a number of segments including free sparring, theory and most important of all, exciting team games. The club uses specially constructed realistic looking high density foam swords, axes, maces, spears and shields that are typically used in Live Action Roleplay. Even though the weaponry is made of foam there is still a chance of injury, so the club is run as a martial art and as such has a range of rules, guidelines and a level of discipline that must be adhered to, safety is the top priority very closely followed by a focus on making the sessions fun. 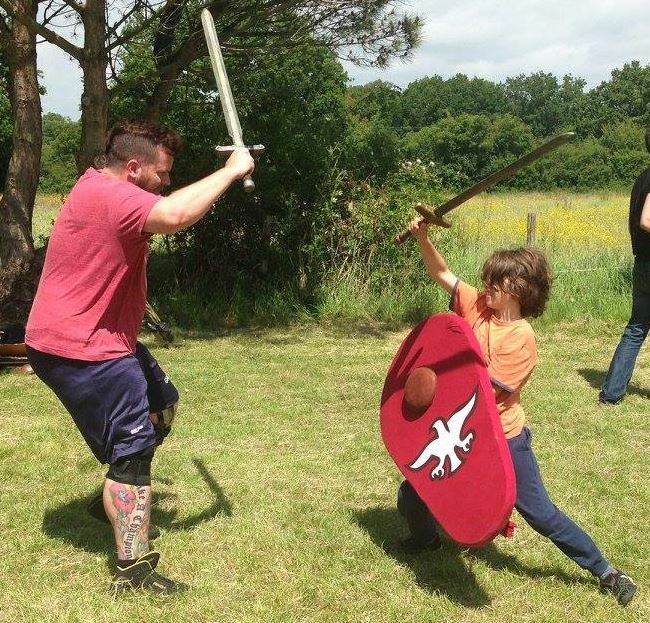 There are a whole range of benefits of doing medieval sword fighting with the Riddle of Steel such as fitness, confidence, team skills, mental resilience, focus, sword fighting skills, adaptability, creativity, control, hand-eye coordination and awareness. 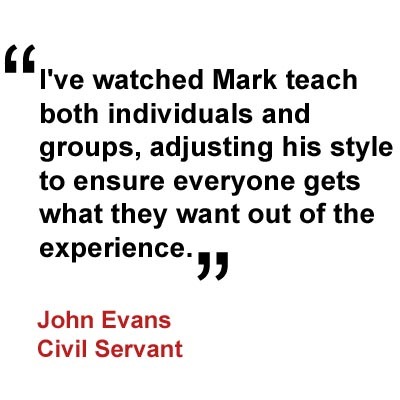 Mark Gilbert a sword fighting champion and highly experienced instructor who is First aid qualified, enhanced DBS and insurance cover. 8 – 12 year olds Tuesday 6pm – 7pm. 12 – 17 year olds Tuesday 7pm – 8pm. Session’s run in term time only. North Barnes Lane, Plumpton Green, East Sussex, BN7 3DT. Trainers, T-shirt and comfortable trousers. £5 per session or there is an option to pay per term at a £4 per session rate. Please complete the Member details and acceptance sheet and bring it to the first session. The Riddle of Steel can also run sword fighting birthday parties for a child who is a club member, which can accommodate groups of up to 14 children. or submit a Contact us form.